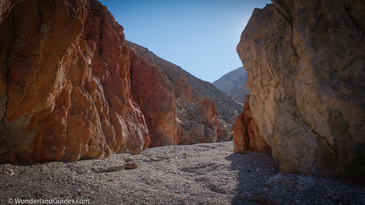 Just miles from Stovepipe Wells, Little Bridge Canyon is unknown to most visitors. This is a cross-country hike that provides an easy test of your navigation skills. Highlights include solitude, exciting geology, and a natural rock bridge.